This Friday, October 2nd, I will be having a print release party at The Dime Store in Denton, Texas, to celebrate the release of my latest poster. This is a three-color, 18x24" print of the iconic Denton Courthouse. I printed 100 of these and I will be signing them at the store. I'll also have all of my other prints and shirts available for purchase. Paul Echols of Square 205 was in my studio while I was printing the Courthouse. He put together this awesome video, so I hope you'll check it out. I'd like to thank Paul and The Dime Store for sponsoring the Project Denton video. You can also watch more Project Denton videos here. Have a look at some more images of the print after the video. Hope to see you at the party! In case you don't speak French (and you're too lazy to use Google), "Laissez Les Bon Temps Rouler" means "Let The Good Times Roll". It's a popular saying in my home state Louisiana, especially around Mardi Gras season, that encourages people to remember to enjoy life at all times. I have wanted to create a print with this phrase for a few years, so I'm pleased to have finally gotten to it. 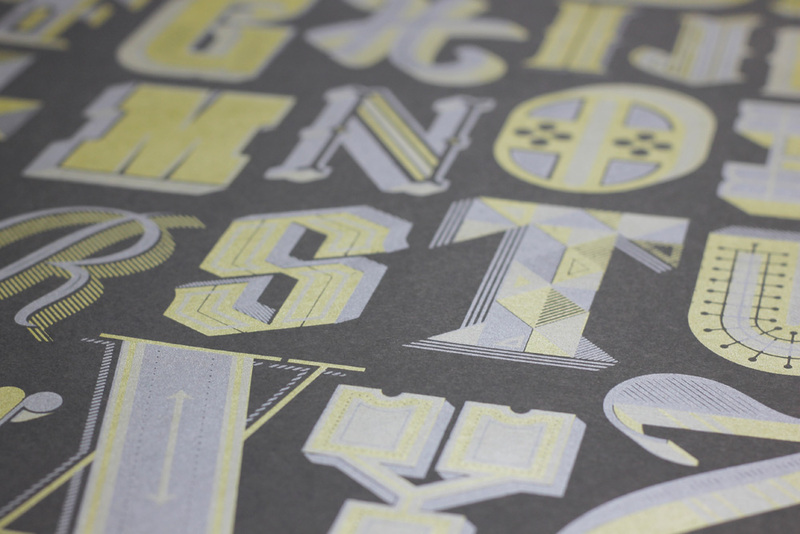 This is the second print in my Wisdom of Words Project–a yearlong series of handcrafted typography prints. You can see the first print in the series here. I decided to use a brush script style for February's print. This lettering style is a perfect fit for the meaning of the text–that life is never perfect, but it's full of fun and energy. To create the art for this print, I used a small, pointed brush and some india ink. Rather than trying to get each letter perfect in one amazing attempt, I drew each letter individually many times and then later combined them into the final composition. This technique is surprisingly easy, given that you draw some fantastic letters. 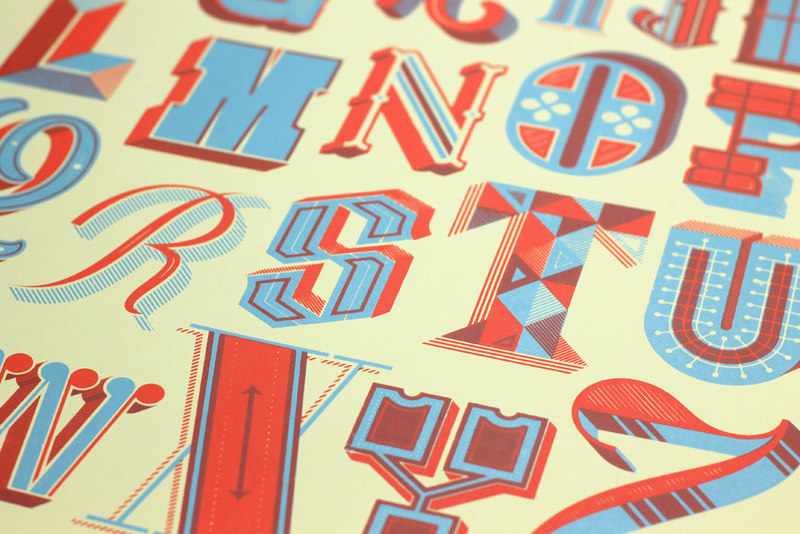 The result is a hand-drawn, energetic typographic brush style with natural textures. I created pages and pages of letters, drawing each one until I was confident that I had a few good ones. I especially focused on getting good thick to thin contrast within the strokes. I also made an effort to work the ink until it started to run out of the brush, that way I would get some dryer strokes that were more textured. I spent about two hours drawing all of the letters. I then scanned each page at a very high resolution (1200 dpi). With the letters in a digital format, I selected the best of each one and brought it into a new document, keeping a bit of the original paper that surrounded them. The image above is a composite showing the letters surrounded by their initial paper texture. Each letter was placed on a different layer in Photoshop and given a Multiply transparency. This method allowed me to move, resize, and rotate each letter exactly as I wanted. After the layered image was complete, I used the Threshold adjustment to push each letter to pure black and white. I wanted to retain a bit of the original texture within each letter, while keeping the letters heavy and black. The final screen print will use silver and black ink on a red paper. I'll post images of the printing after I get that finished. 2015 - I don't have a resolution, I have a project. I won't use an exclamation point at the end of this sentence, but let me assure you, I am really excited about the upcoming year. After moving to Denton, Texas in July of 2014, I spent the fall adjusting to a new job, new city, & new friends. My strategy was to ease into all of this like a timid swimmer into a cold pool. Well, that time of ease is over my friends, and I'm ready to get back to work. I have been assembling a new screen printing studio, and I want to break it in with a buttload of new prints. That's why for 2015, I don't have a resolution; I have a project. 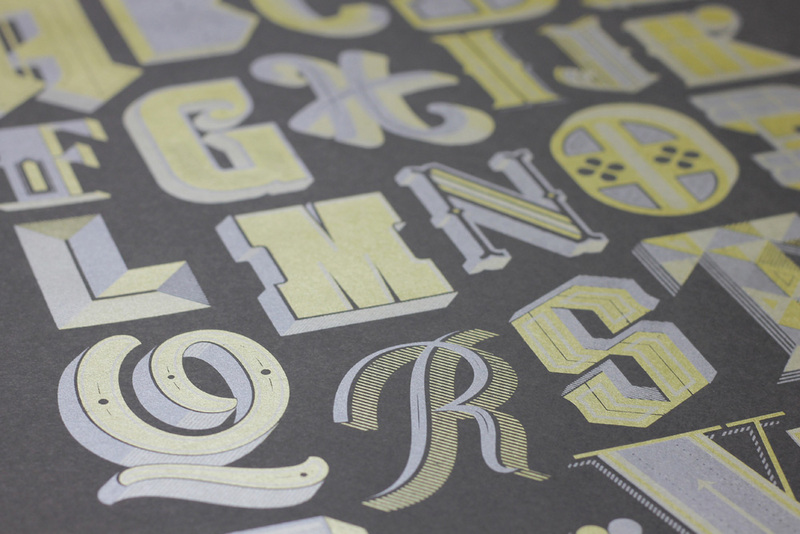 It's a simple idea: create one hand-lettered print each month for a year. 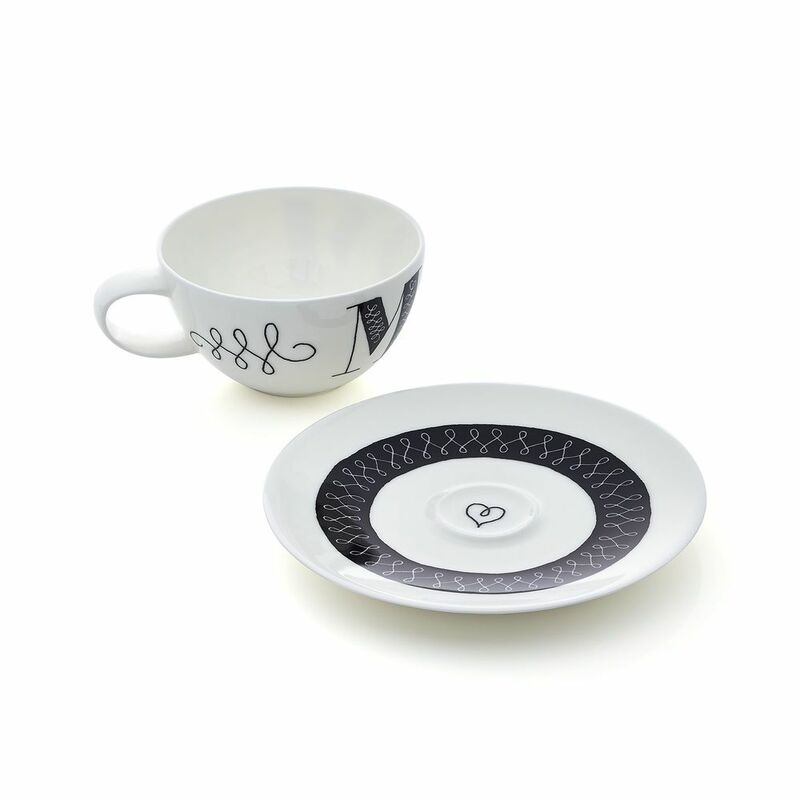 I have always envied artists and designers who are able to create a series of similar pieces. My ideas for self-authored prints tend to be a bit all over the place. I enjoy type and illustration equally, and I want to excel at both. As soon as I finish creating something with letters, I want to get away from that and draw pictures instead. I'm also interested in a lot of different methods of production, so I've never tried too hard to develop a recognizable style. This way of working keeps things fresh, but it can also make a schizophrenic portfolio. 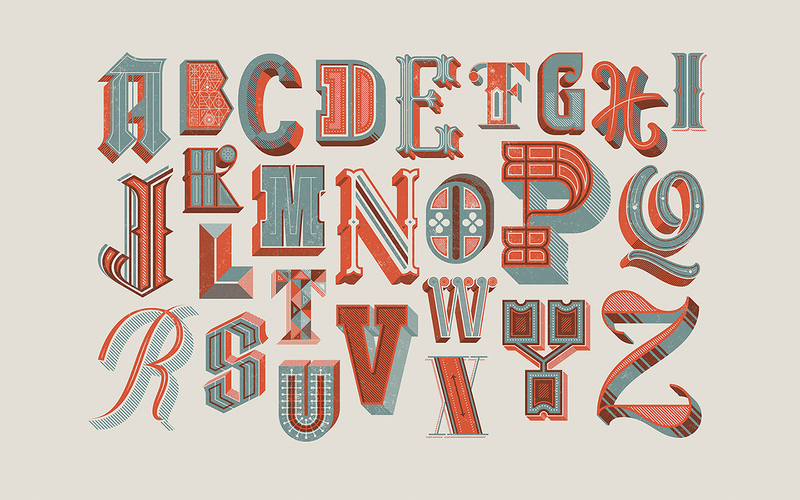 Last year, I completed a decorative alphabet. Each letter was its own little piece of art, but together they form a whole body; something greater than the sum of its parts. I like to think that last year's alphabet project was the perfect precursor to this year's project. There is a well known formula for creating a successful body of work: keep some things the same, let other parts vary. For this series of prints, I plan on using the same two colors of ink (one thing the same), and a different color of paper for each print (one thing different). Each print will be the same size (same), and will feature a short quote or phrase (different). I have already collected most of the phrases that I want to illustrate. 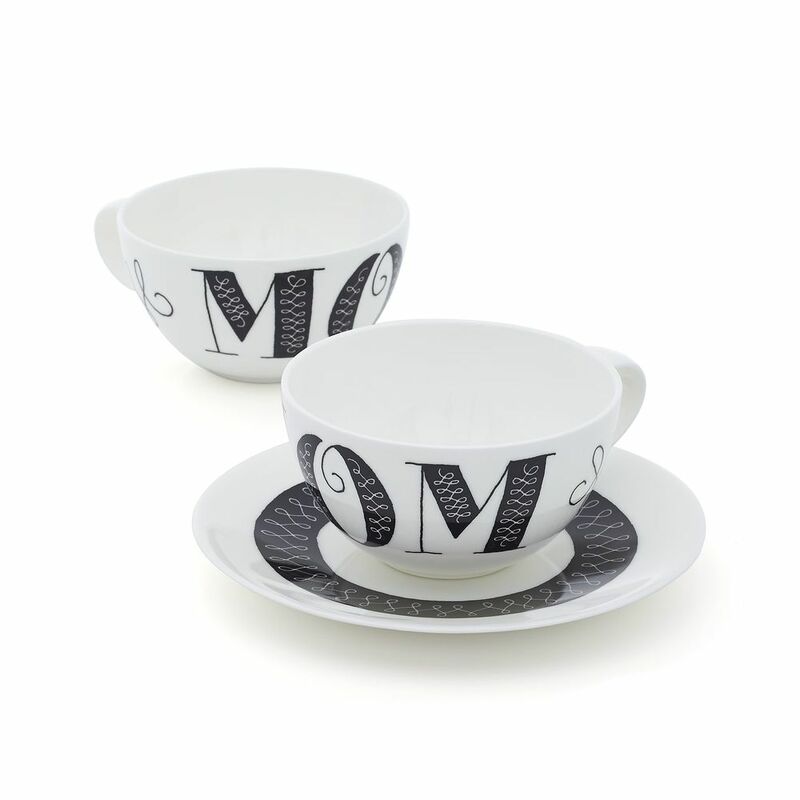 Other things that will vary are the styles of lettering and the tools of production. I want to use pencils, pens, brushes, cut paper, collage, and the computer. Right now, this series of prints is just a cloudy idea in my head. I can't see any of it clearly, but I have a sense that it will be really fun. I will be sharing a lot of the work involved, which should involve images of drawings and of the printing process. I also realize I'm already a little behind on getting started, but that's ok. I don't need to stick to an exact schedule. I reserve the right to change direction, or quit altogether. Maybe at the end of this, I'll be disappointed with the results. Whatever the outcome, I'm happy to have a plan. I hope you'll follow along during this year-long project. I am thrilled to be participating in my first Renegade Craft Fair this year in Austin, Texas. Join me and over 100 other indie makers at the Palmer Events Center from 11 am – 6 pm on Saturday, November 29 and Sunday, November 30. Hope to see you there! The story of our lives are often told in chapters. Milestones such as finishing high school, getting married, or starting a new job often mean closing one chapter and beginning a new one. For me, a new chapter is approaching when my wife Alisha, our three children, and I move to Denton, Texas in two weeks. I will be teaching Communication Design at the University of North Texas starting this fall. Though I have loved working at Mississippi State University for the past 5 years, I'm very excited about this new phase in our lives. As you probably know, moving is difficult. I will have to temporarily close my online store as we make this transition. To help lighten our load, I'm offering free shipping on all products for U.S. orders until Wednesday, July 2nd, when you use the code NOSHIP during checkout. Every item that you purchase is one less item that I have to move! I recently completed a drop cap alphabet poster, and I created a comprehensive process video to show you how it was done. I want to give a big thank you to my friend and former student Andrew Le for providing the excellent soundtrack. If you would like to pick up one of the prints, just head over to the store. 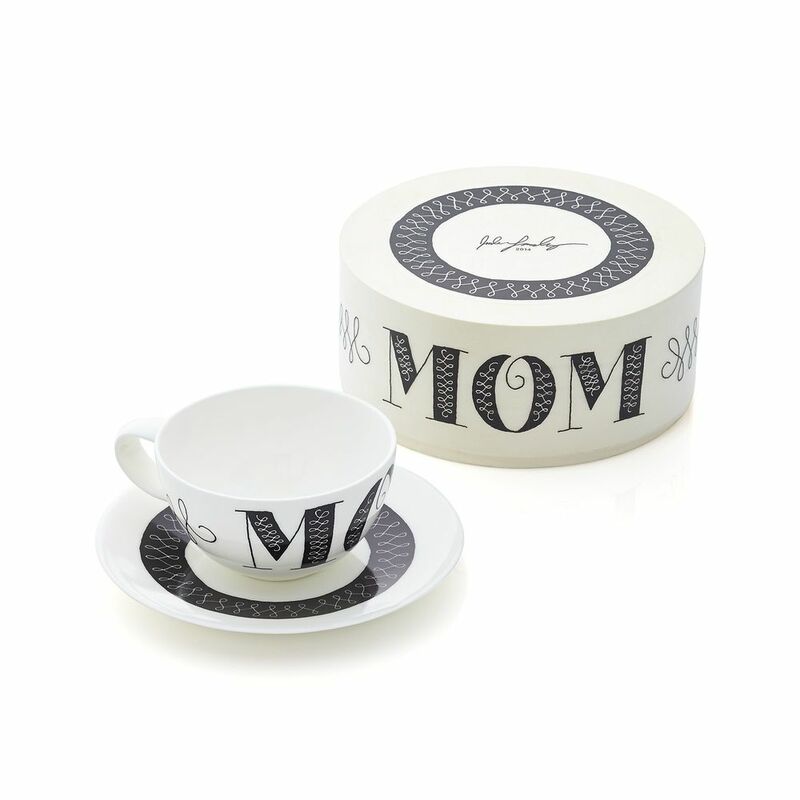 Don't forget to use the code NOSHIP during checkout to receive free shipping to a U.S. address until July 2nd, 2014. Congratulations Kara! If Kara can not attend the conference, I will choose another winner who will be able to attend. Thank you to everyone who entered. As a keynote speaker at this year's Maker's Summit in Greenville, South Carolina on March 1, I have a free ticket to the event. 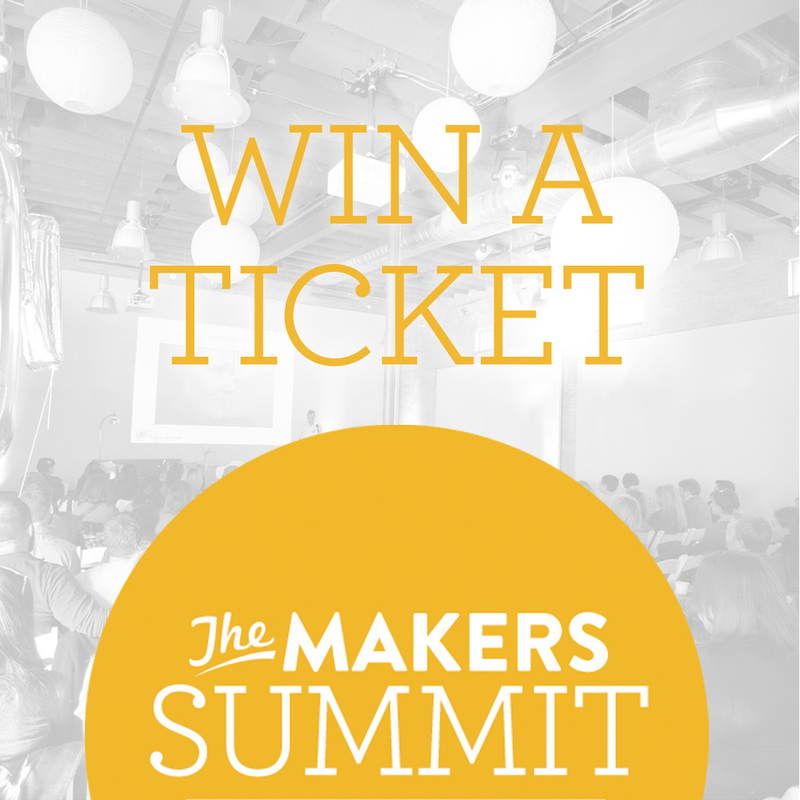 One lucky winner will receive an all-access pass to The Maker's Summit, both the conference and the after party. The Maker's Summit is a one-day business conference for the art, craft, and design world. The winner will have to provide his or her own travel and accommodations to the event. To enter the giveaway, first follow me on twitter here. Once you have followed me (or if you already do), then please tweet a link to this blog post and be sure to include my twitter handle (@judelandry) and some words about why you want to win the ticket. You must enter by the end of Wednesday, January 29 (CST). I will choose the winner at random and send you a link with the ability to register for the conference. The winner must register by February 1, 2014. Please do not enter the giveaway if you can not make it to the event. The ticket is not transferable. Be sure to check out this video from last year's Maker's Summit. Good luck everyone! 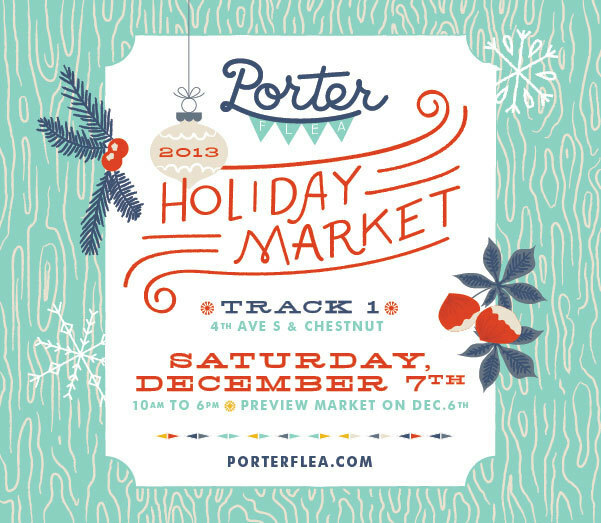 I'm pleased to announce that I'll be selling my original posters and t-shirts at the Porter Flea Holiday Market at Track 1 in Nashville this Friday, December 6th and Saturday, December 7th. The event will feature over 85 of the region’s best designers of modern handmade apparel and accessories, home goods, furniture, jewelry, and paper goods. Porter Flea is without a doubt the best handmade market I have ever seen. If you're in the Nashville area, please visit!